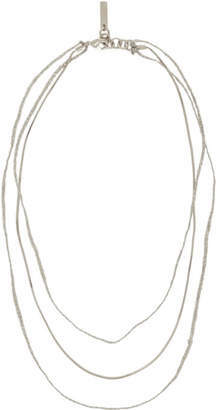 Metal snake chain and braided textile three-tier necklace in silver-tone. Logo plaque at adjustable lobster clasp fastening. Silver-tone hardware. Approx. 17 full length.